This is a question that comes up a lot. It can get confusing quickly. Many people ask – what’s the difference? Aviation safety management systems (SMS) have considerable SMS documentation requirements that become more difficult to manage as years pass. implement control measures to mitigate identified risk. sorting, filtering and grouping data to detect trends. If your company has more than 40 employees, you should get an SMS database to manage SMS documentation requirements. If you have fewer than 40 employees, but also have high employee turnover, I also recommend that you get an SMS database to provide assurance to accountable executives that the SMS can survive with the departure of key safety personnel, such as the safety manager. Smaller aviation service providers do not need complex data management processes; however, as the company grows these operators need SMS database programs that possess considerable flexibility and power. A best practice is to have all SMS data stored in one centralized data repository, which is the SMS database. This makes it easier to backup the data for disaster recovery. Another advantage of the centralized data management strategy is that SMS performance monitoring activities becomes much easier to manage. Otherwise, SMS performance monitoring will become unsustainable in the long run. Sloppy Data Management Shows Poor Planning to Everyone! When operators use six different point solutions to manage SMS documentation requirements, the complexity of monitoring the SMS has just increased unnecessarily. A single solution that is able to address all SMS documentation requirements is a better data management strategy and SMS auditors appreciate this. operational department head from another department assigned to this special project. Assigned safety managers are not SMS database experts. Furthermore, these newly assigned safety manages may not understand SMS documentation requirements because in most cases, this will be their first SMS implementation. Luckily, in the past dozen years, I've seen and worked with many SMS implementations. These operators have both simple and complex operations with between ten and 1,000 employees, in most cases. Larger operators usually have quality management systems that they have been re-purposing to manage SMS data. 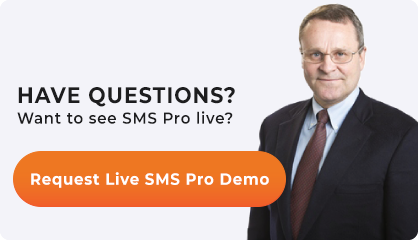 Consequently, I've only worked with a handful of SMS implementations with more than 1,000 employees. Simple operators commonly have fewer than 80 to 100 employees and operate within a single industry segment. Complex operators may have fewer than 100 employees but generally more than 100. Complex operators may also have different types of businesses, such as an aviation maintenance organization that also has a small airline in another country. A complex operator may have considerably fewer than 100 employees. 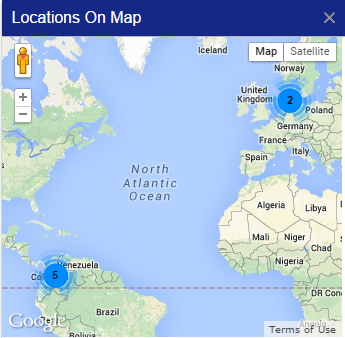 For example, consider a small, on-demand charter operator that also operates an FBO or a string of FBOs. This is fairly common. Another example seen frequently are helicopter operators that may have one or two corporate jets that fly to countries requiring SMS. And when these helicopter operators are performing their own maintenance, operational complexity increases proportionately. To take another example from airports, consider an airport authority that operates multiple airports. These airports may be small, but in many cases, I'll see one or two larger airports in the group along with a few smaller operations that may have between ten to thirty employees at each airport. 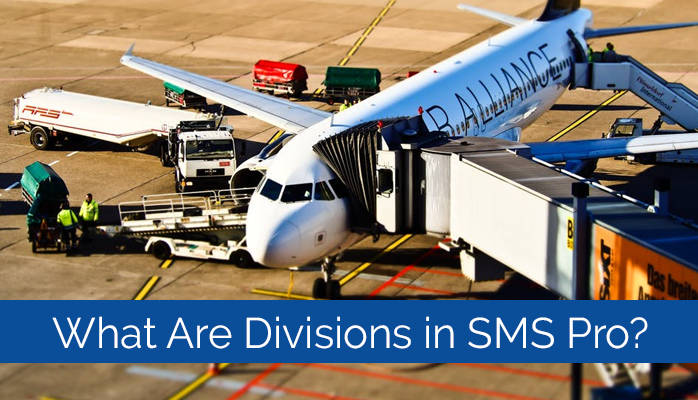 While each airport is a simple operation, having a separate SMS database for each division will make SMS performance monitoring more difficult across the group of airports. We also see airport operators that are part of a larger "port authority" that includes maritime operations, or a group consisting of an international airport, one or two regional airports and the maritime operation. This becomes a complex operation with specialized SMS data management needs. How are these factors accounted for in the SMS database? Simple operations don't have data segregation requirements demanded by the complex operations. It is easier to start with an example of a smaller complex operator to highlight this point. Let's take the aviation maintenance organization that also has a small airline in a different company. Let's call this operator AMO Airline Group (AAG). For each treated safety concern, there will be classifications and risk assessments. Simple enough. As you can see, the SMS database needs a way to divide the SMS data in a way that allows management to focus on only one part of the operation. reducing complexity of the "system." Depending on company size and operational complexity, this can be handled using different data management strategies. But this answer hardly clarifies things. I think the most effective way to approach this question is to first tell you what a division is not, then what it is. Then we can give an example of how divisions are successfully used in an SMS database's organizational structure. What happens when management sells one of the companies? This is a fairly common scenario in the aviation industry. Assets are acquired and sold off regularly. When your company sells one of the child companies, the SMS database must accompany the sale. Therefore, you will need a clean separation of data at the portal level. Within a Division, any number of User Roles can be assigned to each employees. Those same User Roles will, for the most part, be universal across all divisions. That being said, there may be occasional User Roles that are specific to one Division, such as a Cabin Crew role as part of the Flight Ops Division. This is probably the source of the greatest confusion surrounding Divisions. At first glance they would seem to be very similar, however, as we shall see, Divisions and Departments in SMS Pro database serve two distinct and different organizational functions. How Long to Move into New Aviation SMS Database? For example, an aviation company would probably create different divisions for Flight Ops, Maintenance, Ground Handling, etc., because each of those units serves an entirely different purpose – i.e. function – for the company. As another example, let's consider corporate charter operator that also operates an FBO and/or an AMO. Divisions allow the company to keep the users and data separate, while allowing upper management to easily monitor SMS performance. This practice is much less common than using Divisions to separate functional units, though in certain cases it makes sense to use this route. An airline company that has bases in various continents may choose to use Divisions for its geographical units. A Division should be used in whatever ways a company feels is best to analyze its hazard risk data. For large, more complex systems, a company will need more Divisions to keep SMS data organized. Divisions reduce data complexity. Without divisions in a larger company, the top level management could easily be overwhelmed by so many issues filtering to the top. This logically occurs because there are many more reported safety issues to address in larger companies, especially those with healthy reporting cultures. For smaller, more straightforward operations, it’s probably in the best interest financially and of their time to have fewer divisions so that things can filter to the top more quickly. There are times when the company wants to use the same SMS processes with other organizational untis. For example, an airport will have a "Security" department. The Security department doesn't want managers or auditors snooping into the Security data, or vice-versa. Divisions allow a clean separation of data. It is like having two databases, but only certain managers can see data across all divisions. Another common scenario is having HR or HSE, OSHA or OHSA departments use the SMS database to track their own types of issues. Divisions have their own risk matrices and classification schemes, so they can modify their division to suit their operational requirements. How Are Departments and Divisions Different? Here’s the rub. Fortunately, there is enough difference between the two that clarifying their use is fairly straightforward. A good example would be inside a Ground Handling division. A company may choose to have Departments for Baggage Handling and Baggage Cart Drivers. Both Departments in this case work towards the same common goal of handling ground operations, but operational goals of Ground Handling and Flight Ops are different. Let’s take three fictional companies and see how they might use divisions differently. because their safety reporting volume would be fairly small. because it would be in their best interest both in terms of time and money to maintain organization by segmenting these groups. a small small flight school. In this case, I would have one division for the FBOs, one for the AMO and a shared division for charter and flight school. Secures data according to business needs (need to know). As far as best practices, a company should use Division(s) in whatever way keeps the organization structure the simplest and most efficient. Should you still have questions or concerns about how to use Divisions most appropriately in your set up, please contact us – we are happy to help. Did this provide some insight into what Divisions are and how they are used in SMS-Pro? Let us know in the comments below. Published December 2015. Last updated February 2019.